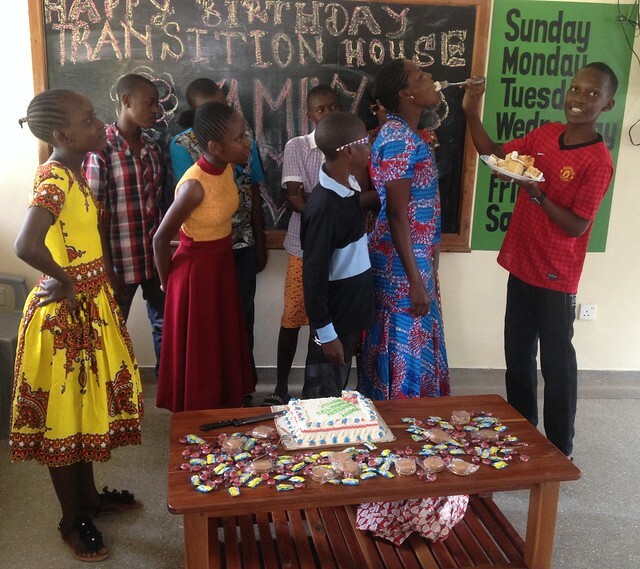 Here at The GLO, we teenagers are lucky to have a special house with a Boys and Girls Wing where we prepare for life outside as we have to leave the security of the orphanage when we reach 18 years old. 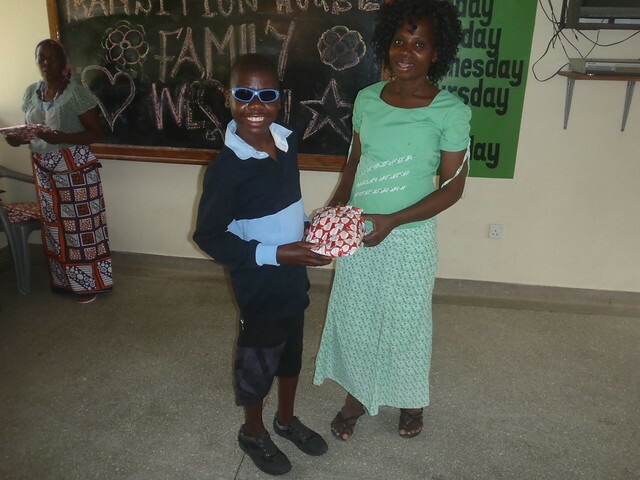 The McKenna Transition House is purpose build with this in mind and with Mama Stella overseeing everything we do it is a very happy place for us whilst making sure we are learning life skills for the next stage of our journey. We wash our own clothes, keep our rooms & communal areas clean and learn to budget & cook all in preparation for when we leave. We also receive guidance & counselling so we can dispel and worries or fears we have. On the Saturday of 9th June this year, we celebrated our house birthday, this is a special date chosen by The McKenna Family so we are honoured to be able to mark this occasion. We all woke up early as usual and did the house chores before I left for school to attend half day Saturday classes. Before we left for school our house mother, Mama Stella told us to go home early so as to prepare ourselves. I ran home straight away immediately after the bell rang. We hurriedly prepared ourselves and dressed to kill we indeed looked gorgeous in our Sunday best. All the other children in the other houses had gathered at the TV room waiting for us. I was the first child from the Transition House to reach there and the climate made me feel very special and blessed.I sat on the VIP seats as I waited for the others to come. Soon we started our celebration and after prayers all the children sang for us happy birthday songs. Then, we were called in front to go and cut the cake. 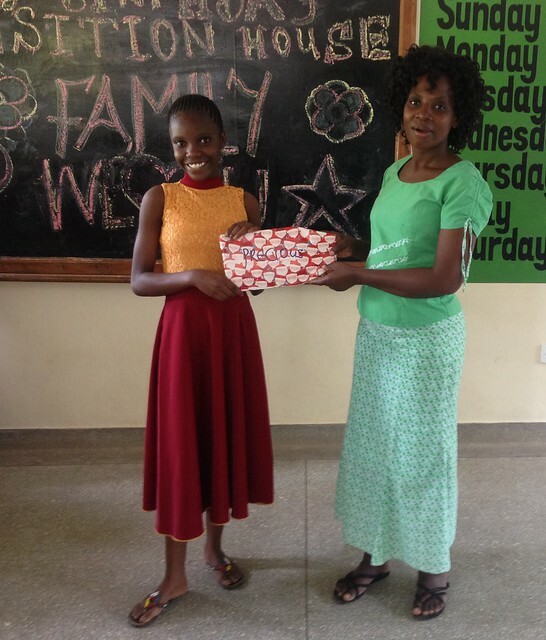 Madam Mercy was there waiting for us and she didn’t waste any second as she issued each one of us with a birthday present. With our stomachs full of cake and a present in our hand we were beyond excited!! Finally, we reached the climax of our celebration and Madam Valentine told us that we were going to Jumuia beach, a perfect location to spend the remainder of our house birthday. We boarded our van and the driver set forth to our destination. 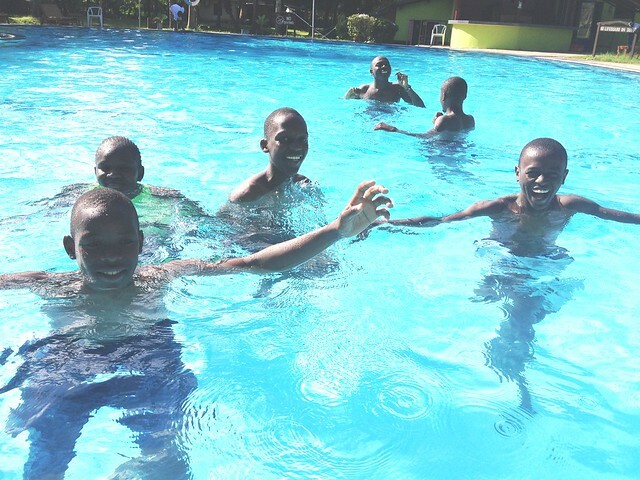 Without dilly dallying we were at Jumuia Resort, none of us had never been to this place before and it was just superb. 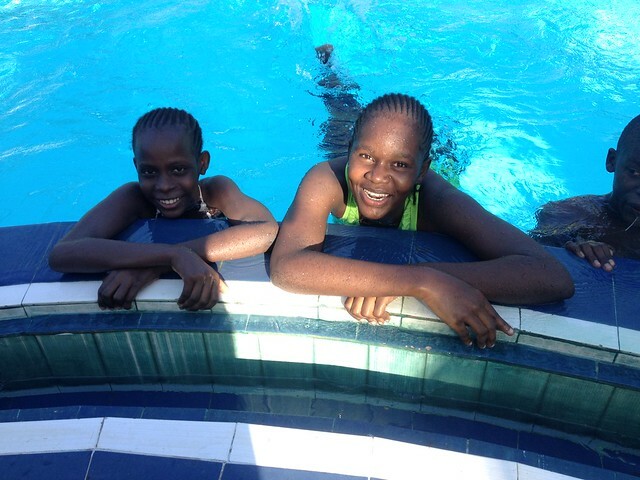 We all enjoyed swimming as we listened to classic music, not the normal musical choice for the coast. I felt happy as a king on his coronation day. 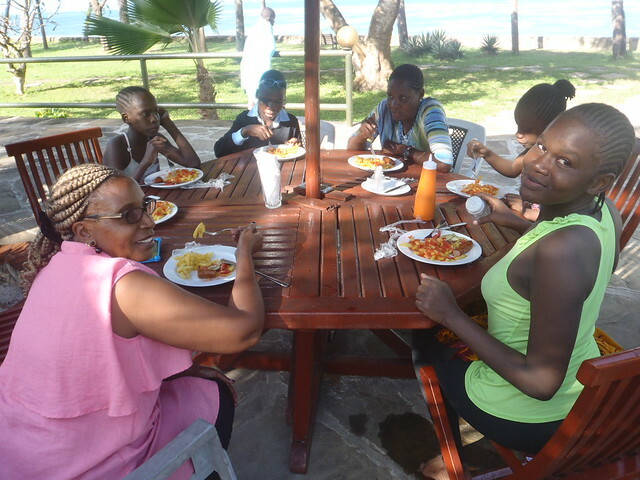 We also had a special lunch of sausages & chips which was well cooked and very delicious. All of us had a wonderful day and we really enjoyed ourselves. Indeed it was a day to remember. 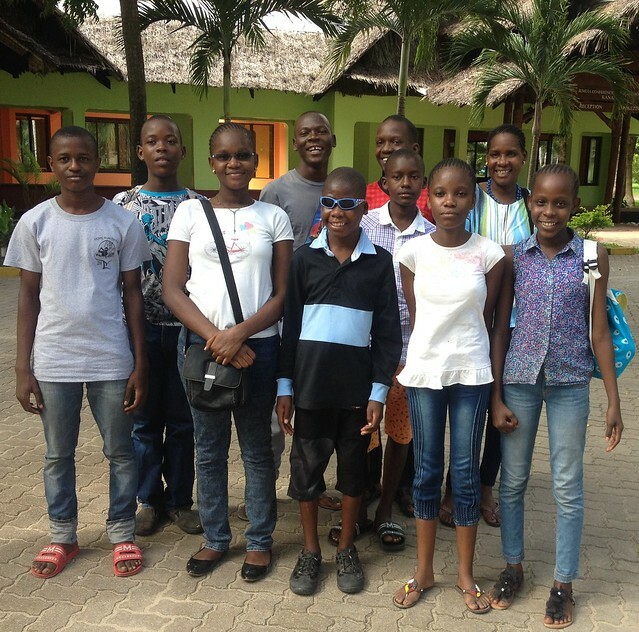 The time came for us to travel back home, in a split of a second we were at the GLO compound. We thanked the High Deity that all of us were safe and sound. I said a short orison so that God can continue to bless all of you who care for us and in particular The McKenna Family who have been helping Papa Kevin & Mama Mary since the opening of The GLO over ten years ago, we are proud to be their Kenyan Family. I will truly live to remember this particular day come rain come sunshine. Oh! What a day. Thank you so much for sharing your account of your very special day. It sounds like you had an amazing day. I am coming over to the GLO in 5 days and looking forward to seeing you and everybody.